Founded in South Boston in 1837 by Deming Jarves, Pairpoint’s predecessor, the Mount Washington Glass Company became widely known for producing the finest glass made anywhere in the United States. With a history of producing the highest quality glass, examples of Pairpoint’s timeless designs can be found in over 30 museums across the country, including the decorative arts collections of New York’s Metropolitan Museum of Art, and Boston’s Museum of Fine Arts. Pairpoint Manufacturing Company, named for its silversmith superintendent, was built next door to Mount Washington. 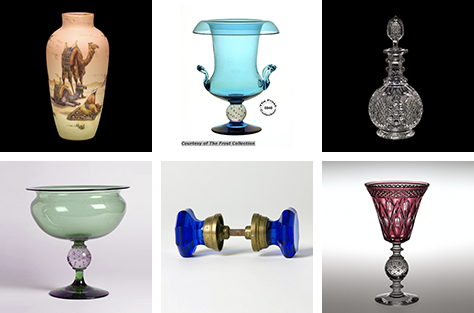 With many of the same stockholders and clients, the two companies officially merged in 1894, and combined both art glass and silver mounts for their popular products.